Believed to be the oldest temple in Patan Durbar Square, the Char Narayan temple (1566) was completely destroyed in the 2015 earthquake, leaving behind only its terraced plinth. For this installation, using the principles of the camera obscura, the inverted image of the void left behind by the fallen temple is cast into a room overlooking the square. The installation captures a view of the square that was impossible to see prior to the earthquake. A camera obscura, literally “darkened room,” is an optical device that was written about in ancient China, Greece and Mesopotamia long before the invention of modern photography. By the Renaissance and Baroque periods in Europe, painters were using the camera obscura and other similar optical devices to accurately depict perspectival space. While the durbar square and its temples were being built, European artists were drawing initial lines for their paintings by tracing over projections that passed through a lens and into a dark space. The operations of building are as much technologies as the camera obscura and related optical devices; by setting up a projection that looks upon historic structures, we are imagining the impossible by collapsing the geographical distance that once separated technologies in multiple parts of the globe. The installation exists in an unsettled temporality that brings the present period together with a fabricated version of the past. 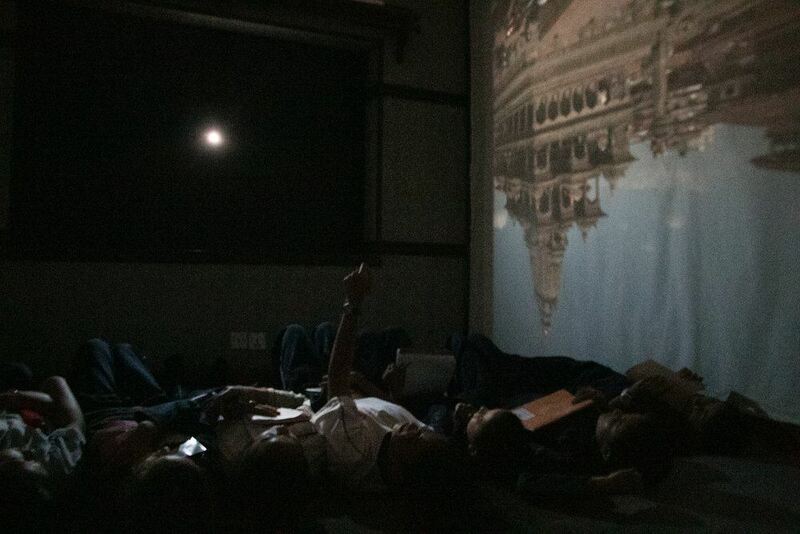 Patan Camera Obscura was part of Photo Kathmandu 2015. The installation was on view at Yala Guest House from 3 - 9 November, 2015. TIme-lapse video by Rohan Chakravarty.